Financial statement consulting and preparation at all traditional levels. Audits of financial statements and preparation of required disclosures for use by shareholders, boards of directors, creditors or regulatory agencies. Audits of employee benefit plans, pension plans, profit-sharing plans and 401(k) plans. Reviews of financial statements for bonding or creditor use. Compilations of financial statements for the closely held business owner or investor where higher levels of service are not required. Income tax minimization and planning for the closely held business entity and owners. Proper entity selection upon formation of new business enterprises. Trust administration and guidance to trustees for trust funding, operation and tax compliance. Analysis of incentive and non-qualified stock options for the business executive for tax minimization. Tax return preparation and compliance for all business entities; LLC's (Limited Liability Company), S corporations, limited partnerships, C corporations, trusts and estates. IRS (Internal Revenue Service) and California Franchise Tax Board audit representation and appeals. Property tax audit representation and representation before other state tax authorities. Facilitation of banking relationships and acquisition of lines of credit and other credit facilities, and ongoing compliance with covenants and restrictions. Design and implementation of business plans. Acquisitions of businesses, mergers and reorganizations. Sales of business assets, segments or entities; business terminations and liquidations. Consulting for the not-for-profit enterprise including contractual audit requirements, unrelated business income tax,applications for tax-exempt status and IRS and state agency annual reporting requirements. Implementation and maintenance of deferred compensation plans for executives. 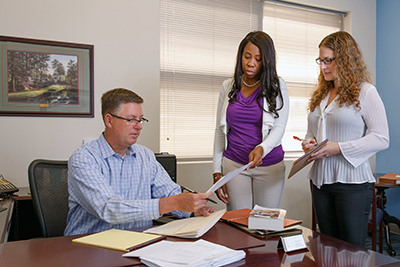 From financial statement compilation, review and audit to advanced tax planning, our team of experienced professionals is ready to provide solutions to many of your most pressing business problems.